Now that we’ve covered some of the basics of pre-flop action, let’s take a closer look at which hands we should be raising, why you should raise them, and how to setup hands properly for the rest of the action. Poker is not Blackjack and cannot be played successfully by following a chart. There are too many variables to consider, many of which will be mentioned in future articles. Therefore, we’re not going to list which hands you should play at every position. Instead, we want to talk about hands in general, highlighting their various strengths, and helping you understand their value rather than just telling you to raise. In order to become good at something you must understand why you are doing it. In poker, you need to think long term. This concept will become much easier the more you play, and the best players in the world think about this instinctively. When you raise, you start the action in a hand. 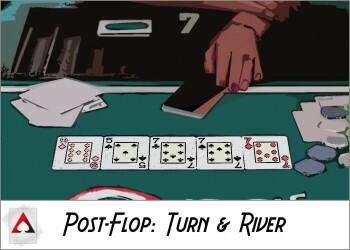 You shouldn’t only think about what other players may do on their next action, but also what may happen on the flop, turn, and river. Of course, it depends largely on the community cards but the point of raising is setting up the hand for future streets. A raise is an attempt to build a pot. It often (but not always) means you have a good hand, or at least a hand you want to continue with. The strength of this hand varies from person to person and position to position. By raising, you are entering the pot by increasing its size in an attempt to win a larger amount of money. You want other players to call you with less valuable hands so you can win money on the merit of your hand, or you want to outplay and bluff your opponent off of a stronger hand. Either way, the key is in the raise as poker favors aggression. As many things in poker, the answer of “It depends”, while not very descriptive, is often correct. The way you play should change based on how other players at the table are playing. If the table is very passive, you will want to open up your range and be more aggressive by raising more hands. And if the table is super aggressive, 3-betting many hands, you will want to tighten up your range and raise more selectively. You will also want to consider how other players perceive you and therefore what value they put on your raise. If, for example, you have raised the last 8 out of 10 hands, the other players at the table are not going to respect your raise as highly as they would if it were the first time you raised in 10 hands. If someone is playing back at you by re-raising, consider how they play, but also consider how you have been playing as well. You should also be raising more hands the fewer players there are at the table. In other words, when there are 10 players at a table you will want to be more selective with what you choose to raise when under the gun. But when there are only 4 people at the table, you should have a much wider opening range. Failure to change your playing style based on your opponents and other table dynamics means you are one dimensional and can easily be exploited. In poker, you want to be the one doing the exploiting, not the other way around. As mentioned in the previous article, you almost always want to open raise any hand you want to play. 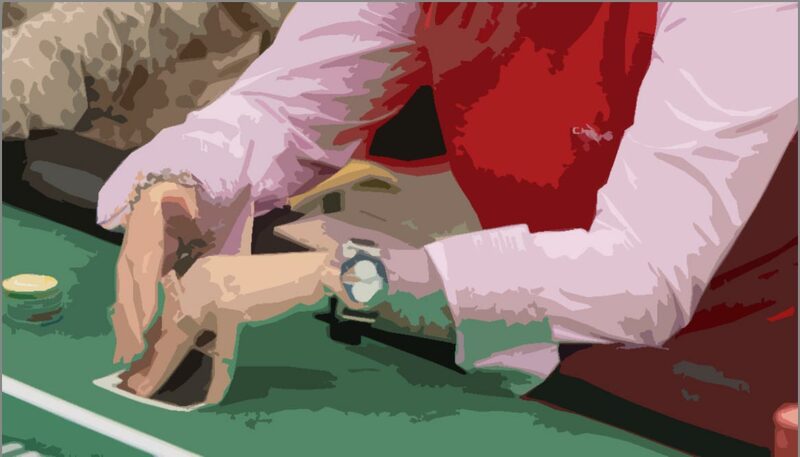 It will be assumed in this article that if it folds to you, you will be raising if you choose to enter the hand. Let’s look at various sets of hands and discuss their strengths and weaknesses. Again, I want to emphasis that I will not be promoting hand charts. You need to learn the value of hands and decide if it’s worth raising based on your position and the table dynamics. 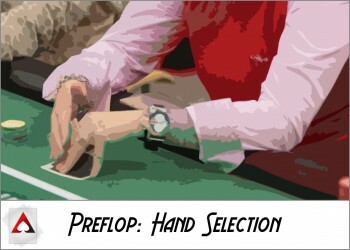 These are the preflop monsters that all players hope to be dealt. In most cases you will be ahead of the other players at the table, so you will want to build the pot quickly and get in as much money as possible before they outdraw you. Passively playing these hands is a recipe for disaster. 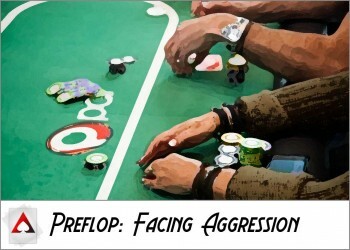 You will likely be happy getting all-in preflop with these hands, though depending on the player, you may want to proceed with caution when you hold TT, JJ, or even QQ and are facing a lot of action. Big pairs are best played against one or two opponents. This is another reason you want to raise with these hands. If you just call and end up against 6 other hands, you will have no idea where you are in the hand. 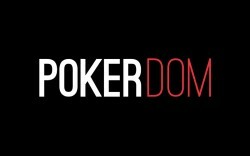 KK and AA especially will likely be your top two money making hands and will win very often against a single opponent. And please, do not follow that stupid quote, “Pocket aces either win you a small pot or lose a big one.” That is one of the biggest myths spoken in poker. These hands can make a lot of money with aggression and the correct flop. The leader of the pack, AKs, will likely be in the top 5 of your money making hands, if you play it correctly. These hands also play well multi-handed, but just like big pairs, are easier to play against one or two other players. I would be much more cautious flopping top pair against 5 other people rather than 1. Suited broadway hands are valuable because they are suited and can make a flush, connected and can make a straight, but also because they are big and can flop big pairs. People often say hands like 98s are their favorite, but give me KQs over that hand any deal. Heads up, KQs has 63% equity over 98s which only has 37%. This is largely due to being able to make stronger flushes and flop better pairs. These hands are also valuable because they can back door their way to stronger hands. A back door is essentially a runner runner scenario, but happens more than people think. 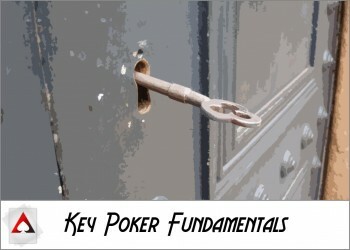 For example, if you hold KsQs on a flop of Kd8s9h, you have a back door flush draw. Another spade on the turn greatly increases the equity of your hand. This increases your equity by nearly 4.5% in most cases. Many new players have trouble playing mid pairs, which is understandable. They can be tricky because they’re not premium hands like big pairs, so you don’t want to over value them. But they’re also not a set it or forget type hand like small pairs. 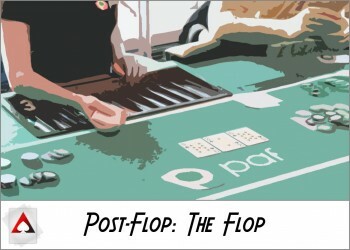 They can still flop as an overpair and often times flop as second pair type hands. They are best played against a single opponent. A hand like 88 will not look so hot on a flop of T64 if 4 other players are in. But if you’re heads up, it’s likely you’re still ahead. Unsuited broadway hands, like KQo, are still very strong, but without being suited, they lose 5% of their equity. Therefore, they should be treated as such. I’m still happy to open raise with KQo from most positions, but am much easier to give up when facing push back. The lower down the pack, the less likely I am to play. AQo is much stronger than QJo. These hands are strong enough to open raise, but likely not strong enough to continue facing a lot of aggression. They also are fairly easy to play postflop and can turn into monsters if you hit a set. They play well against many players if you’re set hunting, but not so well for their straight up value as they tend to get outdrawn easily. 55 only has 55% equity against a hand like Q7o, which many would consider junk, but still has 45% equity against the small pair. Add in 4 random junk hands, and 55 has just 20% equity to win. They also play well against a single villain as they have a much higher likelihood of holding up and you can win with continuation bets (more on that later.) However, facing any push back, it may be time to fold. 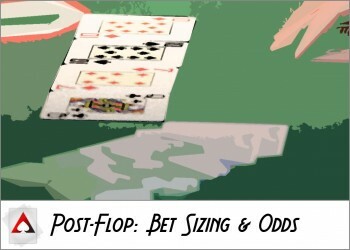 Many new players like to limp/call with these hands, and that may be an okay play depending on the table, but in the long run will likely be a losing bet. Limp calling anything gives up two important factors in poker, position and aggression. If I would limp/call 33 from early position, I’d much rather just open raise to take control of the aggression. These fun little hands can create a huge pot and crack big pairs, so are worth a raise from most later positions. One thing to note is that these hands rarely tend to flop a monster and are much more likely to flop a draw that will take going to the turn or even the river to make a hand. Their pair hands aren’t nearly as value as suited broadway hands and are generally easy to give up if you haven’t improved to anything major by the turn. There are fewer strong straight draws when you add in more gaps. These hands aren’t as valuable as suited connectors, but I may play them from later positions. Losing the suited power of these small hands takes away a large part of their equity. We already showed this with KQs vs KQo, but it’s even worse with smaller hands like 76o because they are unlikely to flop top pair. And even if you do, you may easily be out kicked. These hands are considered more junky and should only be played from later positions with caution, if at all. Just like suited connectors vs suited gappers, unsuited gappers are worse than their unsuited connected brothers, which already drop 5% equity being that they’re not suited. Some hands in this range may be worth playing from late positions, like K9o, but I usually ditch the smaller hands like 87o without much thought. These are the hands that you don’t want to be playing unless the table is very short handed or you are on a very passive table. We get more into this in the next section but remember there is a huge difference between raising with a hand and calling with a hand. It’s not out of line to make a raise with a hand like T8o in position, but it would be much harder to find a rationale to call with it. 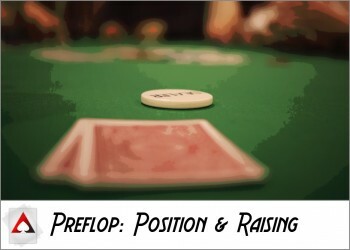 In Pre-Flop Basics I & II, we’ve had an introduction to what we need to be thinking about in all pre-flop situations that do not involve us facing a raise or facing a re-raise after we have raised ourselves. 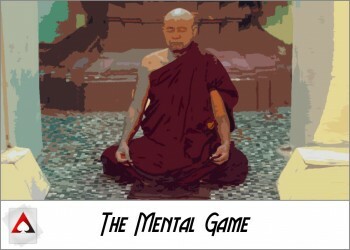 In the next part of this series, we’ll dig deeper into what we should do when facing other actions from our opponents. This article is part 3 of an 8 part series from New Player Guide: A Shortcut to Playing Better Poker. You can navigate to the previous or next article below, or choose a specific article from the series.